Cascade may be a “new name” in the fitness business, but their team is not. With over 25 years of experience in the equipment industry, they are responsible for some of the very best products ever produced including the original award-winning LeMond indoor cycles. With this knowledge, it should come as no surprise that their Air Bikes are possibly the strongest and most durable air bikes ever made. Brains and brawn. 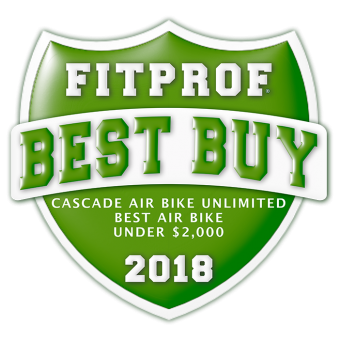 Its this perfect combination that makes the Cascade Air Bike Unlimited one of the best dual action bikes on the market and the 2018 FIT PROF BEST BUY dual action bike + crosstrainer under $2,000!